The first month of a new year has come and gone already and I’m finding myself reflecting on many of the conversations I’ve had of late. January has traditionally been the goal-setting month, whether it’s a New Year’s Resolution or business goals for the year, many people appreciate the mental “restart” that comes with a new beginning. If you have ever read about successful people, you may have heard this before. A friend shared a video on Facebook this morning that I found particularly inspiring. Although she shared it in the context of a responsibility that speakers have, the same message applies to authors, to coaches, to artists and to those who stand in a public spotlight sharing their thoughts and ideas with the world, in whatever medium them use. For some creatives, we get caught up in the process of creating. Passion for our art fulfills and sustains us, and that’s enough. The problem is, that’s a very self-focused view of what we do. For other creatives, there’s the ego-boost that comes with having our work recognized, whether through awards or rampant sales. And once again, it’s a very self-focused view. That’s not to say that we ignore the business aspects of what we do, because we do need to earn a living in order to keep creating. There’s no two ways about it, unless you’re independently wealthy already. However, we also have a responsibility. And the success of our business and the reception of our message, no matter what form it takes, can only be assured when we remember who we’re doing it all for. If I cook a meal that looks delicious, but tastes awful, what have I accomplished? We need to always remember the experience that we’re giving our audience. They are our customer, whether they’re paying for the experience or not. It doesn’t matter if, as a speaker, I have an audience of 2 people or 2,000. I have to give the same performance and imbue my delivery with the same energy, because those 2 people deserve my very best. I don’t care if you’re self-publishing a book, choreographing a dance piece, giving a presentation at work, performing on TV, coaching a new client, or whatever other unique skill and talent you have to share with the world. If you don’t take that responsibility seriously, you may as well not do it at all. Or at least, don’t try to build a business around it. If it’s about you, it’s a hobby. If it’s about the person who’s going to experience what you have to offer, you’ve got a business. Too often our days are filled with To Dos and appointments, running here and there, and we forget to stop and notice the needs of others. We become so focused on getting things done or on trying to pay the bills or on being successful that we forget to take the time to give back. Participating in a mastermind group is great for many things. 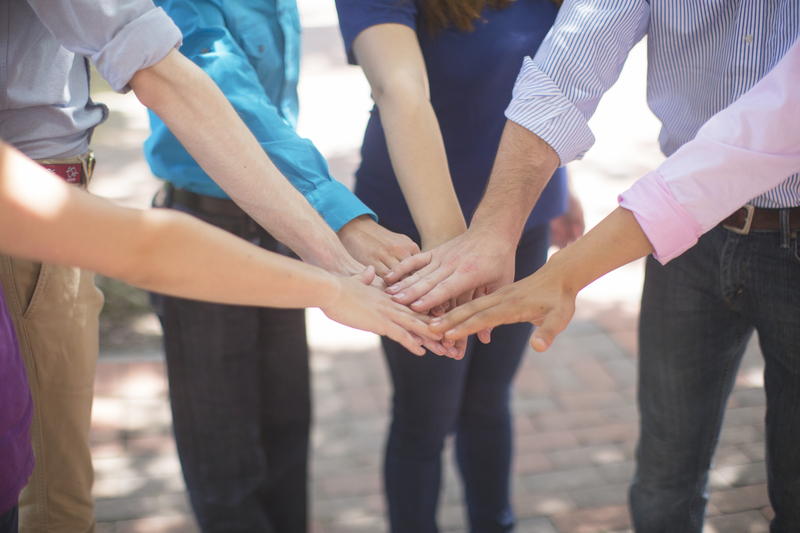 I’ve outlined 5 Powerful Reasons for Joining a Mastermind Group in an earlier post. However, today’s post isn’t about what you can get out of a mastermind group. It’s about the opportunities it affords you to give back. When you give the Gift of Significance to others, the rewards are immeasurable! Take a listen to this simple story and you’ll see what I mean. And if you have any interest in learning more about The Best is Yet to Come Mastermind Series, you can request more information here. You’ll be sent a brochure that outlines the format of the mastermind series, and will be put on a mailing list to receive more information once the dates are set. As of today, we’re half-way through 2014. Have you accomplished at least 50% of the goals you started out the year with? I know I haven’t! I knew at the time I set my goals that they were aggressive, and it was going to take a lot of time, effort and focus to achieve them. But I chose to stretch myself instead of staying in my comfort zone, and I tied each goal to specific monthly milestones in my Sales and Marketing Plan so that I could assess my progress along the way. Thankfully, even when we find ourselves a bit behind where we want to be, there are ways to surge ahead. I’m sure you’ve heard it said, time and time again, that your content has to be relevant to your readers. 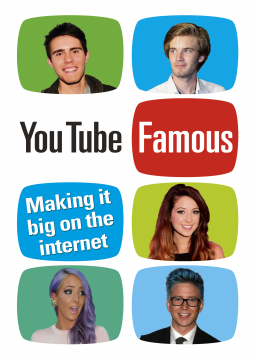 One of the ways of doing that is to make your content timely. In other words, to write in response to current events. 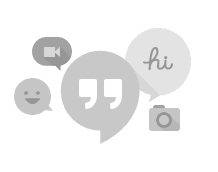 If you’re looking for a way to engage with a wider audience, Google Hangouts may be exactly what you’re looking for. Just think of this… Instead of taking days, weeks or even months to go on a book tour, you could meet your fans and engage with your audience all from the comfort of your home. You can invite people to join you live on camera and carry on a multi-participant conversation. The chat feature allows you to share a link to where people could buy your latest book or product, while they’re On Air with you. Since multiple people can be On Air at the same time, you can actually interact with your audience. Have you ever been suddenly struck by a thought that you knew you needed to act on right away? That happened to me recently. We are proud to be a part of Authors Supporting Our Troops 2014. I’m packing up signed copies of my books… to be shipped to our troops in Kuwait and Afghanistan. Unfortunately, the author didn’t post a link where others could find more information. But the idea appealed to me. Both my sister and brother-in-law are former military and actually met while in Kuwait (after they’d both gone back as contractors). So I wanted to learn more. I knew from my own loved ones how important it was to have diversions (movies, books, magazines, good ole American junk food, etc.) and other things that made you momentarily feel like you were back at home. A quick Google search yielded a Facebook event page and a blog post shedding more light on things. The event started in January and will continue through April 15th. Its organizer, Armand Rosamilia, is collecting fellow authors’ books to send to our troops stationed in Kuwait and Afghanistan. It’s such a simple way for authors to give back, and yet will deliver a sense of “home” to those who receive and share them. If you’re not an author, you can still support the effort by making a donation to help defray the cost of shipping the books. (Contact Armand directly if you’re interested in donating.) And anyone is welcome to buy a t-shirt to commemorate their involvement. At the time of this writing, 485 people are participating in this event, and over 1,100 autographed books have already been sent to Armand to support our troops. That’s an awful lot of authors deciding to give back. But there’s always room for more! I added my name among them, as have a few of my friends. I know it was hard for my sister when she was stationed in Kuwait. She didn’t want to worry us here at home, so often didn’t share the details of what was going on in her life. It’s only recently, years later, that she’s started to share some of it with me. If being inspired, challenged or entertained by any of my books helps a soldier who is far from home escape for a little while, it’s the least that I can do. After all, they’ve sacrificed so much more for us and for our freedoms. Won’t you join me in supporting this effort? Pledge your books, buy a t-shirt, or donate some money to defray the shipping costs. Every little bit counts! And leave a comment below to show your support. For every comment left this week, I’ll donate one of my autographed books to the effort (up to 10 copies of each of my printed books). I’m often asked by my clients how to go about getting book reviews for their latest title. I have a few of my own ideas, but thought I’d open up the question to members of the Book Marketing group on LinkedIn. 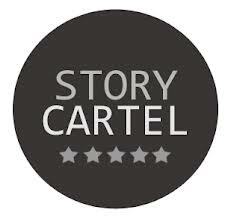 It was there that I learned about a site I’d never heard of before called Story Cartel. I thought you might like to hear about it too. If you are willing to offer your book in digital form on Story Cartel for 30 days, and can offer $30 worth of Amazon gift cards for a contest, volunteers will download your book (for free), read it, post an honest book review on Amazon (and wherever else you request), notify Story Cartel of their review, and then be entered into a drawing for one of the gift cards. There are three winners (that’s why 3 are needed). Do the Holidays Get You Down? Two years ago, I was sitting at the Thanksgiving table feeling resentful because no one else seemed to get how much pain I was in. I wasn’t thankful. I didn’t want to celebrate. Less than a month before, I’d found out that my fiancé was dead. Yet, because I was always the hostess, the expectation was that I would be fine doing with everything this year too. I wasn’t! I was hurting. I’d lost someone I loved less than a month before, and was still waiting to be able to bury him. But it wasn’t just Frank’s death that overwhelmed me. It was coming this close to my dream of having someone to share my life with after so long spent alone, and having it snatched away. I was dealing with grief, feelings of betrayal, hurt that loved ones just didn’t seem to understand, confusion, and so much more. Maybe you know someone who is hurting over the loss of a loved one right now, or that is struggling with some other loss. Or perhaps you know someone who needs to escape the trap of shame, low self-esteem, abuse, poor health or other seemingly insurmountable challenges? Notes: Sharing “The Best is Yet to Come” with the Christian Women Speakers Movement.